Assassin's Creed IV: Black Flag is a third person action adventure game in which you play Edward Kenway, a lawless pirate turned assassin in a thrilling adventure that will transport you to the Caribbean Sea in the golden age of pirates. 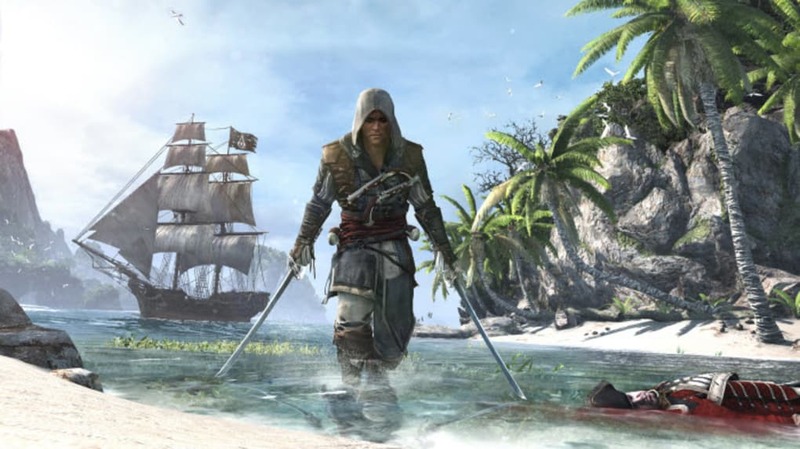 Will Assassin's Creed: Rogue for PC be worth it? Edward Kenway is the grandfather of Connor - the protagonist from Assassin's Creed III - and this new chapter precedes the events of the last game chronologically. Starting Assassin's Creed IV: Black Flag as a lowly pirate, we follow his progress, through adventures that will take him from Cuba to Florida and which lead him to cross paths with some of the meanest pirates in history. Assassin 's Creed IV: Black Flag has been injected with a healthy dose of improvements to its infiltration modes. As in the previous installment, areas of dense vegetation allow our hero to observe and take his targets by complete surprise. Edward is also able to set fire to powder kegs to distract the guards. The corsair can even mark enemies with Eagle Vision and see through walls. The new features which help facilitate infiltration make these sections much less demanding and more enjoyable than before. But action fans can rest assured. Edward perfectly masters fighting with two swords and doesn't hesitate to draw his guns to shorten duels that would otherwise drag on. Despite a system of blocks and defensive countermeasures similar to the Arkham series, frantically pressing the attack button will overcome most enemies in Assassin's Creed IV: Black Flag. 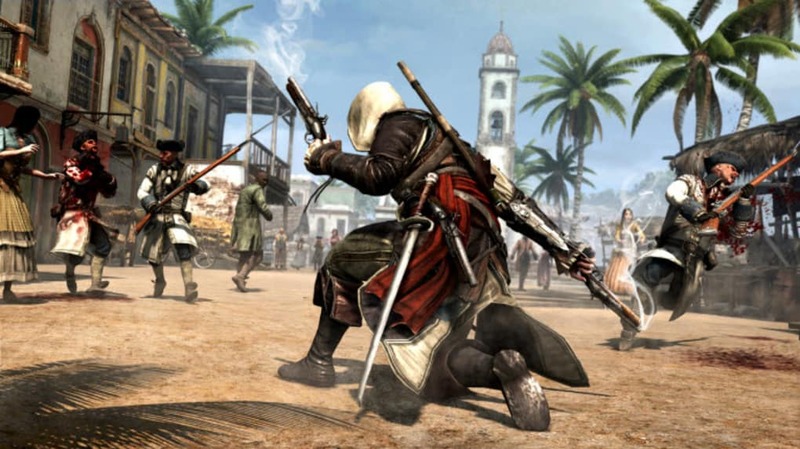 Although it may not stand out for its complexity, the fighting in Assassin's Creed IV: Black Flag is renowned for its ultra-fast and entertaining characters - they are truly explosive. 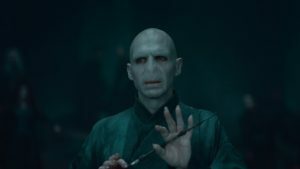 Too bad they can be a bit repetitive, and the artificial intelligence can sometimes be temperamental, which does detract from the experience occasionally. 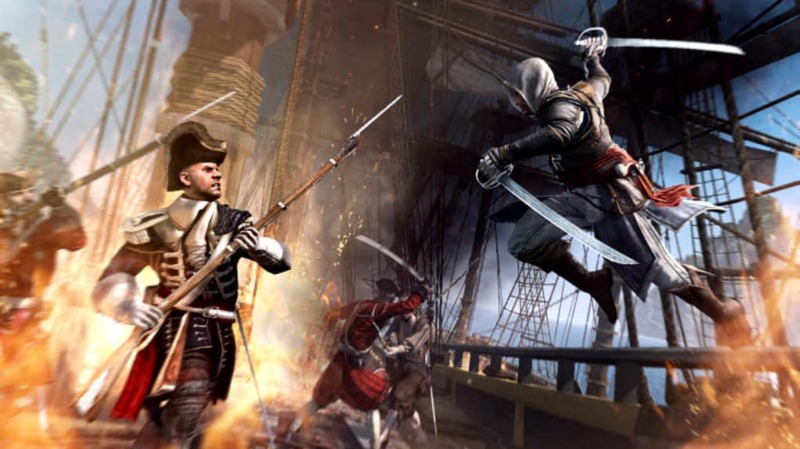 Apart from the single-player campaign missions, Assassin 's Creed IV: Black Flag is full of side missions which Edward can do in between assassinations. It's impossible to get bored! Whether on land or on the high seas, every corner of the game map hides a secret or secondary mission. Hunting sharks, contract assassinations, checkers, taverns and treasure maps... Assassin 's Creed IV: Black Flag is truly a gamer's dream come true. But it is the navigation that remains the centerpiece of Assassin's Creed IV: Black Flag. It's aboard the Jackdaw that Edward will move from island to island playing out his pirate's life. You'll be able to enhance and customize the ship with additional cannons, faster sails or new weapons. It's also at the helm of the Jackdaw that you'll get a better sense of the freedom that makes Assassin's Creed IV: Black Flag so special. You can set sail to hunt whales, you might stumble upon treasure, or board a Spanish galleon - all without meeting a single loading screen. But Assassin's Creed IV: Black Flag isn't just a navigation simulation. 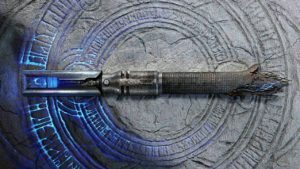 The game takes great liberties with reality to deliver a gaming experience which is both enjoyable and immediately rewarding. You can easily control the direction of your cannon fire and a Quick Time Event will even allow you to concentrate your fire on the most vulnerable point of the hull of the ship you're attacking. Once you've caused sufficient damage, simply press a button to board the scuppered ship. A pirate's life has never been easier! 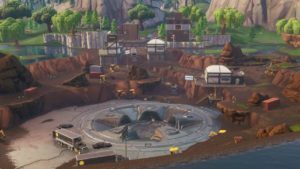 No more dull North American landscapes! Assassin's Creed IV: Black Flag is an explosion of color. Add to that the wildlife environments, the detailed flora and you get a game that looks as pretty as a postcard. 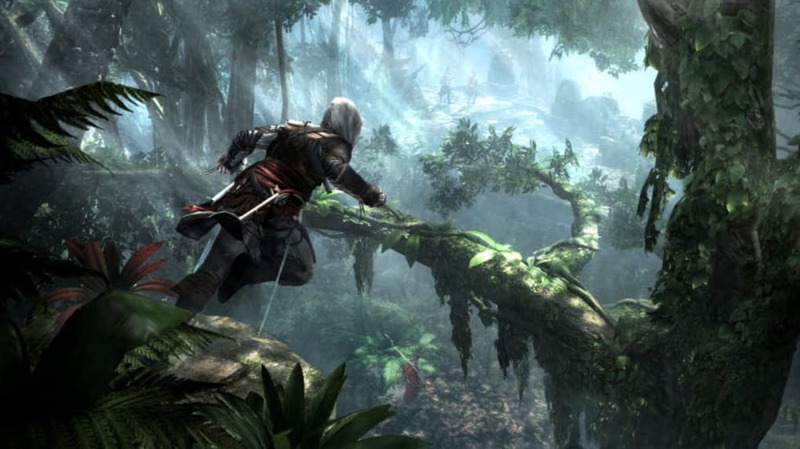 The missions of the game are shared between cities (Havana, Kingston and Nassau) and the forest environments are conducive to free running, reminiscent of Assassin's Creed III. Assassin's Creed IV: Black Flag condenses the "best" of the series into a sort of maelstrom of action, historical approximations and dreamy landscapes. But what Assassin's Creed loses in depth and complexity, it more than makes up for in variety, a sense of freedom and the fun, unique look of the game. Truly great entertainment. excellent. best game in assassin's creed series it contains the best story. The ame is very fun.. l think that is very good game and l think is very very good. nice. i want the game download link......plz share it....i love this game. Hopeless. Cant find a link for Assassins Creed Black Flag download, is there 1 at all ? 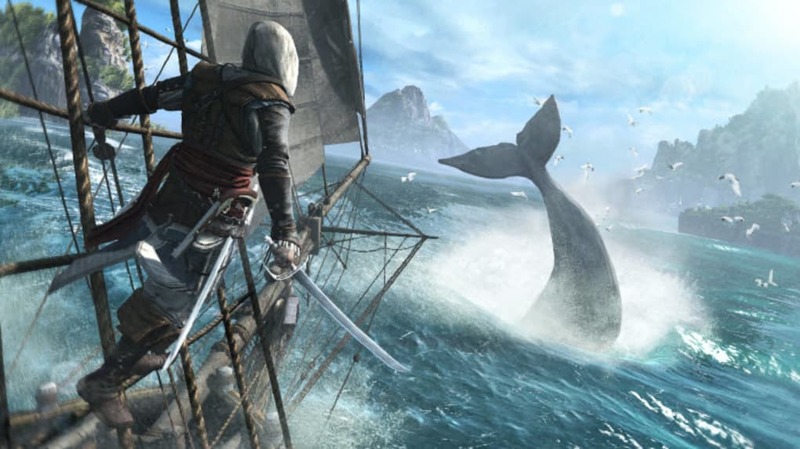 What do you think about Assassin's Creed IV: Black Flag? Do you recommend it? Why?